Every morning, I stare at myself in the mirror as I shave, a ritual which has enslaved me these past forty odd years. And I stare at myself in the mirror as I brush my hair, or brush my teeth, or – more lately – inspect that suspicious mark on my face (is it melanoma?). And I watch as the face which stares back at me grows rounder and more creased, as the hairline recedes and the temples grow greyer, as the lips thin with the loss of back teeth, as the skin begins to sag under my chin. 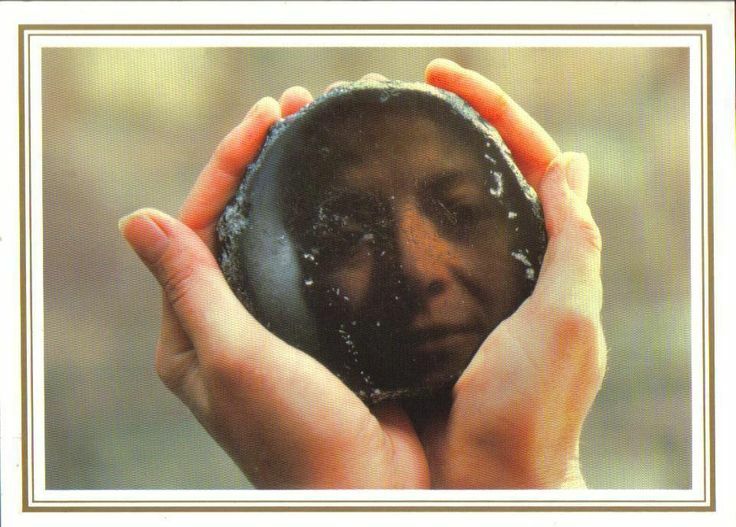 I grow old, the mirror remorselessly reminds me every day. I can’t escape my reflection. It follows me everywhere I go, staring back at me from all the mirrors which we have scattered with wild abandon over our urban landscapes: the bars, the restaurants, the public toilets, the elevators, the shops, the lobbies, … My reflection even beckons to me from the smooth, shiny sheathing and coated windows of our fancy modern buildings. It was not always so. There was a time, not so long ago in the great arc of human history, when we hardly ever saw our own faces. We saw the faces of others: our mothers, our fathers, our siblings, our tribe, our village, and the few strangers who came from the other side of the mountain and passed through. From time to time, when drinking in a still pool, we would have seen a tremulous reflection staring back at us. But it’s not easy to see one’s reflection in water. Water bodies have this infuriating habit of giving a beautiful reflection of things far away but of being blankly clear at one’s feet. but I think this picture is more typical of what most of us see when we peer into water. That’s why I’ve never really understood the legend of Narcissus, the beautiful boy who caught sight of his reflection in a pool, fell in love with it, and died at the pool’s edge unable to drag himself away. and invented the story around that. 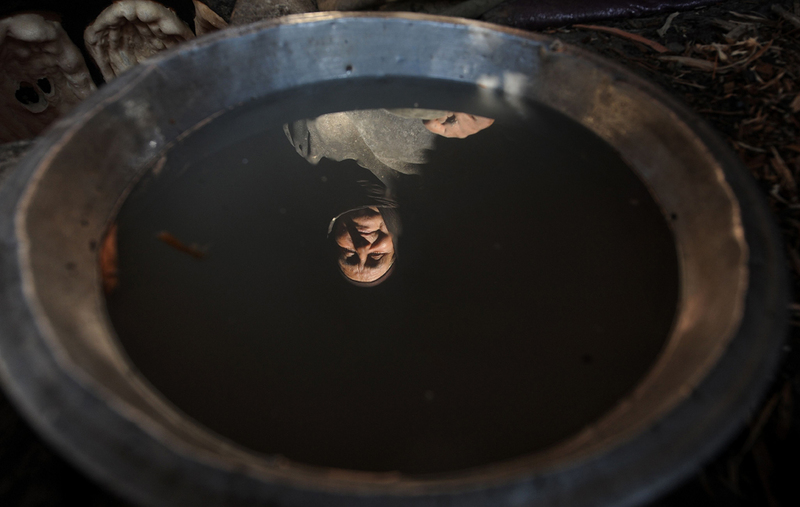 was used in the first attempts at non-aqueous mirrors, in Turkey. The country was famous in the pre-metallurgical era for its obsidian, which could be used to make razor-sharp arrow heads – such arrow heads have been found hundreds if not thousands of kilometres away from the mother lode in Anatolia. But large obsidian pieces could also be split open and the faces given a high polish to act as a mirror. Obsidian may be beautiful, but it gives a dark reflection, almost as dark as the water in my frying pan. I am reminded of St. Paul’s famous phrase in his first letter to the Corinthians, “For now we see through a glass, darkly”. The metallurgical age brought us one step closer to seeing ourselves, in polished copper or bronze mirrors, like this Egyptian copper mirror. 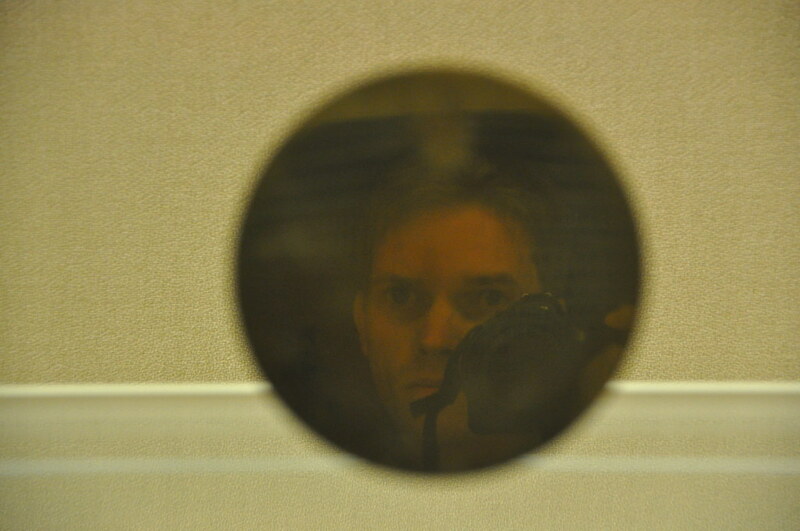 or this one, from a Japanese bronze mirror. Mirrors such as these were very expensive – indeed, the Chinese turned the backs of their mirrors into admirable works of art, such as this 9th Century one from the Tang Dynasty with its admirably carved dragon. So only the rich, the ancient world’s one-percenters, could afford to peer – curiously, vainly, or dolefully – at their reflection. 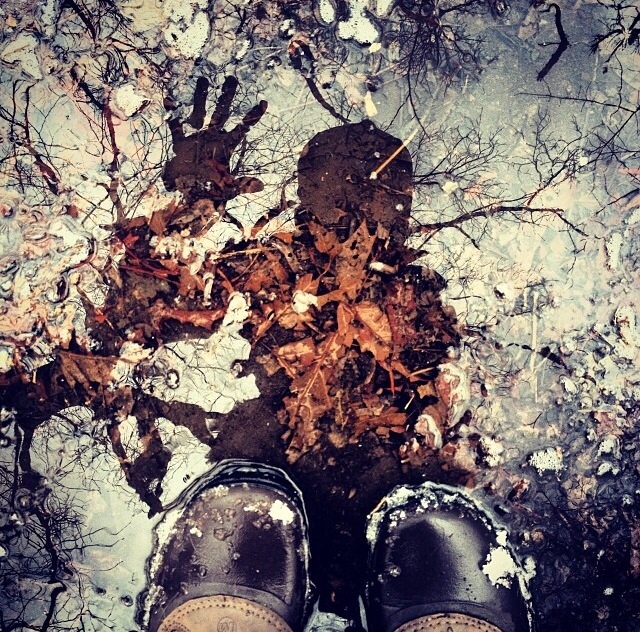 The man and woman on the street still could only see their reflection in water. It seems that it was the Egyptians who first thought of coating glass with metal to make glass mirrors, but their reflectivity was poor. As for the Romans, Pliny the Elder mentioned mirrors where gold leaf was applied to glass. I don’t know if any such mirror has survived the ravages of time, I certainly didn’t find a trace of one on the Internet. But very fancy gold-plated mirrors such as the one in this photo are now made, for high-tech applications. I suppose a bleary-eyed Roman plutocrat staring at himself in his gold-plated glass mirror after a night of orgies would have caught such a yellowing reflection as this of his face. It is the Venetians we have to thank – or curse – for bringing us the modern silvered mirror, which finally allowed humanity to see its own reflection in glorious, embarrassing, or painful technicolour. The glass-makers of Murano figured out a way of making flat – and clear – glass as well as depositing a thin coating of silver on the back of it (my professional self cannot but help notice that they used a silver-mercury amalgam to do this; the mercury inevitably sickened and killed off a good number of Murano mirror-makers – an interesting twist to the French saying “il faut souffrir pour être belle”, “one must suffer to be beautiful”, which here becomes “you suffer, and I admire my beauty”). Once again, it was initially the one-percenters of the European courts who enjoyed – or suffered from – a much clearer reflection of themselves. Venetian glass mirrors such as this one were worth a king’s ransom. The French one-percenters couldn’t stand the idea that they were sending so much of their wealth southwards to the misbegotten Venetians for glass mirrors. They tried mightily to worm the secrets of mirror-making out of Murano. But La Serenissima, fully appreciating the gold mine they were sitting on, passed draconian laws forbidding these secrets from leaving the lagoon. Eventually, though, the French suborned a group of Venetian mirror-makers, persuading them to bolt from the lagoon and set up shop in the St. Gobain works. Among many other things, this gave us the Hall of Mirrors at the palace at Versailles. that humiliating “diktat of Versailles” which Hitler used to such good effect in his rise to power. Alas! The silvering process which the Venetians invented, and the French copied, did not last forever. With time, it would crack, it would peel, it would dull, so that reflections would become evanescent once more. 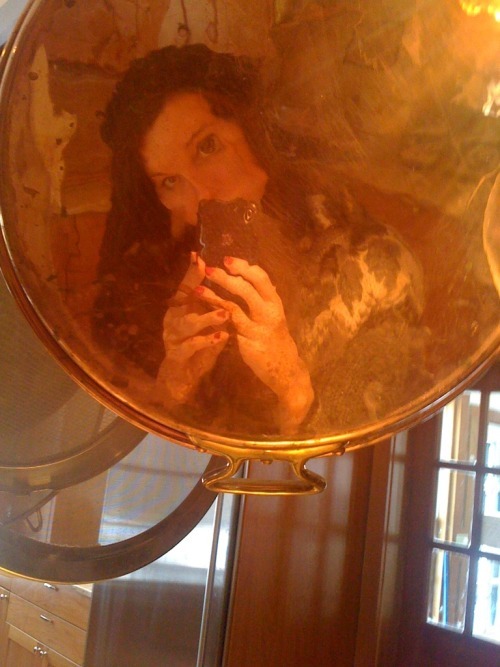 How many old houses contain mirrors like this one! Even our apartment in Milan holds a mirror where Time has inserted its bony fingers into the silvering and has started to strip pieces off. Like my face, mirrors age. But as men have found ways of making faces last longer, so have they found ways to make silvered mirrors that last longer and reflect better. And through the genius of industrialization they have found ways to make these much better mirrors much cheaper, so that 99-percenters like me can also stare, once vainly and now despairingly, at the reflection of our crumbling selves. I need to escape from my reflection. My wife and I could have ourselves shipwrecked on some remote islet in the Pacific Ocean. 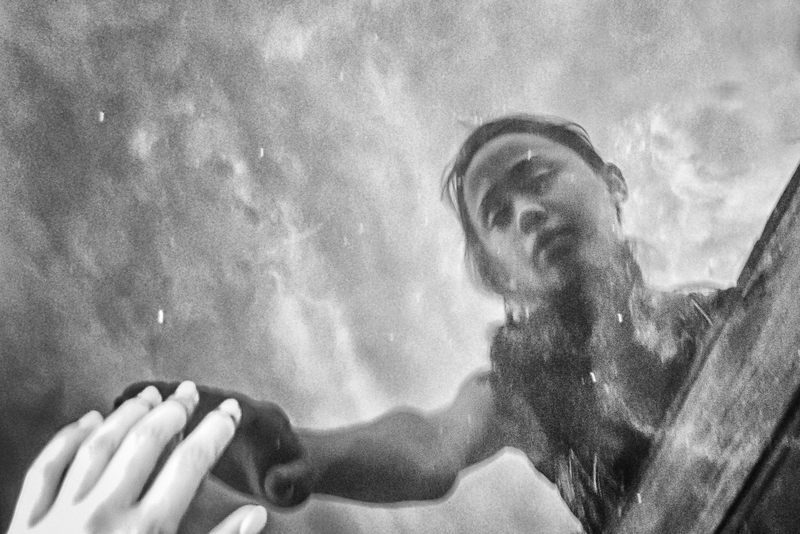 Yet even there, I fear that I would find a shard of mirror on the beach, washed up together with all the plastic bottles and other flotsam and jetsam of our consumeristic life that now fill up our oceans.